I’ve been wondering what to talk about with the gorgeous Danny Smith on his drive time show to Radio Verulam for a couple of days. Should it be my improvement with Fibromyalgia, should it be that the minute the sun comes out we panic about bikini’s or should it be more relationship stuff? But then I realised it’s all about something simple. Something so simple that we are rubbish at it. Having Fibromyalgia has been my teacher in how to take care of myself. So I’m not that bright either – it took a chronic pain condition to sort me out – doh! So if you were going to start now, what would you need to do to take care of yourself better? All of these things are possible, whatever your situation, age, or how busy you are. (Click here to listen again for ONE WEEK only – monday 5.30-6pm). It makes everyone feel better. Walk, power walk, or run. Whatever it is. Go. Out. Nature has a way of healing us and making us feel better. Even when it’s cold and wet (it doesn’t bother children after all). We have a rule in my house – if the sun is out go outside, everything else gets delayed just incase the sun doesn’t last. So homework, computer games, everything waits. And if the sun isn’t shining, still go out, but take Vitamin D3! Did you know that we are meant to do 10,000 steps per day? If you are starting on a health kick, this is a great place to start. From there get your core strong and to protect your back and improve your flexibility, so do Pilates, Yoga or Tai chi. Remember, when you are 90, it’s going to be about your ability to balance as you walk, not wether you can run 10km. There’s no excuse to not do it – stop doing so much of something else instead. Dance, giggle, listen to music. Let it carry you away for a moment. Go to zumba or a dance class; it doesn’t matter if you are rubbish. Music is the best thing for bringing body, mind and soul together. I know we are all busy and running around. But 30 minutes with your feet up, not moving, relaxing once a week or when you are exhausted makes a BIG difference. I’m NOT talking about vegetating in front of a TV program you will have forgotten in an hour. Instead listen to music or read a book. You could even try meditation even if you haven’t before? Just be quiet for a bit. Let your senses rest. I love having a bath once a week on a sunday. I do it first thing, so it just means I’m down a bit later in the morning, so it’s not a massive imposition on the big hairy northern one. A car won’t work without water, neither will your body. It needs petrol, so do you. Eat breakfast, even if it is just a banana. 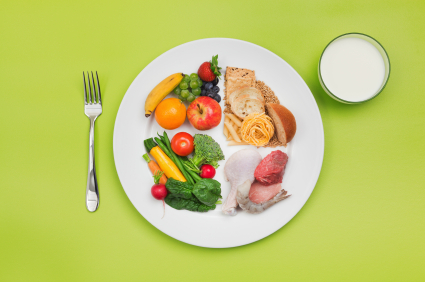 For lunch and dinner eat a balanced meal with protein, vegetables, and carbohydrates. Sometimes the batteries need a boost. If you have a problem, try going to your local health food shop and see what supplements they suggest. Everyone needs a little pamper, wether you do it yourself or at a beauty salon. It’s the act of showing your body that you are willing to spend some time on it once a week that counts. I’m not talking about being a slave to the mirror. Just about remembering that we are all beautiful and deserve to be taken care of. Actually sleep probably should be first, as without it, everything is much more difficult. I’m constantly surprised about the people I talk to who are knackered, but who go to bed at midnight every night. Go to bed the same time each night. Get up the same time. If you are tired, go to bed earlier. Protect your time. It is valuable. Learn to say NO more often. Doing a good days work is healthy, but it’s not about working ‘harder’, it’s about using your intuition and finding ways to work ‘smarter’. Think about the top 3 most important goals for you personally and for your work. Now strip out all the time wasted on the stuff that you don’t have to do and that don’t achieve those goals. The Dalai Lama says the purpose to life is to be happy. Watch happy films, listen to happy music. Surround yourself with loving people who will listen to your woes and then make you laugh. It’s not about partying hard. It’s about having fun. It’s light hearted, and will make you feel better. I have a room at my Spa where women can bring their friends, have a pamper and then eat cake on vintage plates. I LOVE cake. Cake is a treat. It’s a little bit naughty. But very nice! I take my daughter out once a week for ‘Willow Wednesday’ and we get a magazine and eat cake in a coffee shop. It brings us together, snuggled up, reading about ponies and princesses. If you want people to take care of you, you need to show them that you are worth taking care of by taking care of yourself! It helps your loved ones too, because when you are healthier and happier, so are they. So do it for them too! What do you think to my top 10 – what would you have added instead, or not included? Big Decisions, Crufts and Ruff Guides! As usual I love your posts and this one too. I think I would add showing up for your self for doing something that you love, like practicing the piano, or making jewelry, or whatever it is that you love to do. Don’t keep putting it off. What you love to do matters, makes you happier and helps you to feel life is grand so show up for your self and do what you love as much as you can.